There’s no crystal ball that can reveal which fields and occupations will die or thrive in the years to come. That doesn’t mean that there’s a lack of knowledge about what to expect from the future job market. Every day, occupational experts like Laurence Shatkin analyze trends in the labor market and interpret how these trends might affect people’s careers—now and in the future. In the recently released tenth edition of Top 100 Careers Without a Four-Year Degree, Shatkin identifies the following labor market trends and explains how they can have a profound effect on a person’s success in the job search and their career. Knowledge of computer and other technologies is increasingly important. Shatkin explains that in all fields, people without job-related technical or computer skills tend to have a more difficult time finding good opportunities because they are competing with others who do have these skills. 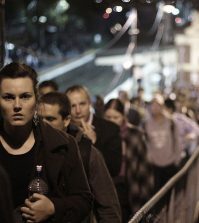 “Employers hire people who have the skills they need, and people without these abilities won’t get the best jobs. So, whatever your age, consider upgrading your job-related computer and technology skills if they are not up to date—and plan to keep them current on your present and future jobs,” he adds. Ongoing education and training are essential. Career planning is more important than ever. “Most people spend more time watching TV in a week than they spend on career planning during an entire year. Yet most people will change their jobs many times and make major career changes five to seven times. For this reason, it is important for you to spend time considering your career options and preparing to advance,” explains Shatkin. In addition to covering these labor market trends and many others, Shatkin provides a wealth of other occupational information throughout Top 100 Careers Without a Four-Year Degree, Tenth Edition. 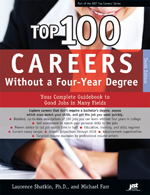 The book overviews 100 careers that do not require a bachelor’s degree. 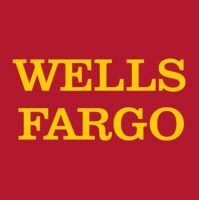 These job descriptions include information about each job’s pay, outlook, education requirements, skills needed, and much more. The book also includes checklists and a “Job-Match Grid” that helps readers assess their skills and match them to the occupations in the book. A bonus section gives readers results-oriented career planning and job search advice. Readers will learn how to develop a “skills language,” take advantage of the most effective job search methods, prepare for interviews and more. To interview Laurence Shatkin, contact Selena Dehne at sdehne@jist.com or (317) 613-4258. To learn more about the book, read excerpts or view the table of contents, click here. Laurence Shatkin, Ph.D., has 30 years of experience in the career information field, presents and blogs on career issues, and is the author of dozens of career books. As a leading occupational expert, he has shared his knowledge on national news programs and in hundreds of print publications and online articles.